Lauren is a Partner at MiddleGround where she is responsible for transaction sourcing and management of the Investment Team with John Stewart. 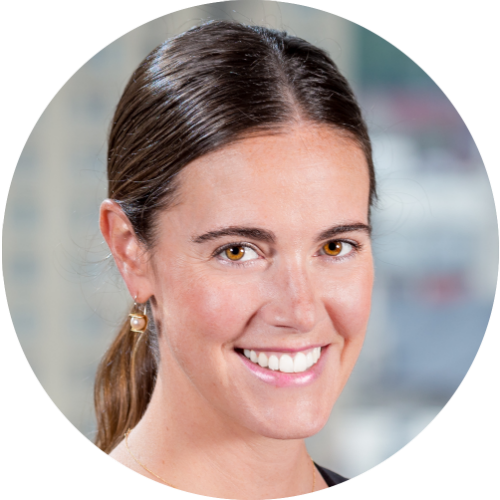 Prior to founding MiddleGround, Lauren spent more than ten years executing transactions as an investment banker and private equity investor. She started her career in investment banking as part of the Financial Institutions Group at Banc of America Securities and then moved to Macquarie Capital to help launch a private capital markets platform. She subsequently spent 6 years at Monomoy Capital, where she was a Director, led several key transactions and served on the Board of Directors for three portfolio companies. Lauren received a Bachelor of Science in Business Administration from the Kenan-Flagler Business School at the University of North Carolina at Chapel Hill (go Tarheels!) as well as an MBA with Honors from Columbia Business School (go whatever Columbia’s mascot is!). While Lauren is now a certified New Yorker, her native Iowa roots are easily identifiable thanks to her love of corn. She and her husband, Brian, are the proud parents of two girls, Maddie and Cece. Lauren likes to spend her spare time golfing, is the worst FIFA 2019 soccer player on the Investment Team and is currently the tallest member of the firm.